IBM announced on Monday October 1 that it had finalized its acquisition of Texas Memory Systems (TMS.) This transaction was first announced in mid-August and was analyzed at that time in an Alert sent to Objective Analysis clients. TMS is the world’s oldest SSD maker, and has recently made an aggressive move from DRAM to NAND flash, providing very high performance PCIe SSDs and arrays. 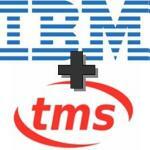 TMS and IBM play into the same market: storage for large-scale computing. Their technologies complement each other, since IBM’s current solid state storage offerings were lightweight compared to those of TMS. The acquisition meshes with IBM’s mantra of “Smarter Planet, Smarter Storage, and Smarter Computing.” SSDs improve storage speed while reducing power and space requirements. 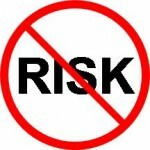 Objective Analysis sees this as a good fit that will harness the synergies of two very similarly managed companies to produce very positive results.